BMH author, Terry White, along with Bill Katip, president of Grace College and Seminary, and Brad Bishop, executive director of OrthoWorx in Warsaw, Ind., will participate in a live radio program, Hoosier History Live! with host Nelson Price, on WICR, 88.7 FM, Saturday, August 31, noon to 1 p.m. EDT. 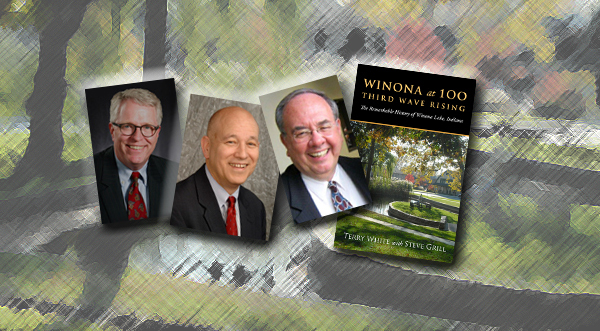 Terry is the author of Winona at 100: Third Wave Rising, which details the history of Winona Lake, Ind. The program may be heard on the Internet at HoosierHistoryLive.org. Call in at (317) 788-3314. A portion of the program description appears below. See HoosierHistoryLive.org for more information (scroll down to read about the August 31 show). A scenic county in far-northern Indiana includes a city known as the “orthopedics capital of the country,” a lakeside community with a long heritage as a spiritual retreat (one of the country’s best-known evangelists of the early 1990s had deep connections to the region) and an evangelical Christian college. We will explore the rich history of Winona Lake, the orthopedics industry and its impact on Warsaw, the heritage of Grace College & Seminary and other aspects related to Kosciusko County, including links to the Potawatomi Indians, colorful evangelist Billy Sunday (1862-1935) and a Bible conference internationally known as the Second Wave. Terry White, author of Winona Lake at 100: Third Wave Rising (BMH Books), a book published in connection with the centennial of the resort town of Winona Lake’s incorporation in 1913. Brad Bishop, executive director of OrthoWorx, a non-profit devoted to ensuring the Warsaw area remains the country’s “orthopedics capital.” In the 1890s, Warsaw-based DePuy Manufacturing became the world’s first manufacturer of orthopedics appliances. Since then, major businesses such as Zimmer and Biomet have been founded in Warsaw, making the city a hub for devices associated with hip and knee replacements. See HoosierHistoryLive.org for more information (scroll down to read about the August 31 show).